Our office spans miles of wilderness near Fairbanks, Alaska. The extreme habitat where we find chaga is home to many plants, animals, and geographical features that are unique to our northern latitude. In this article we will paint a picture of this amazing wild environment where we are lucky to “work”. The chaga fungus grows on birch trees found in the northern hemisphere. Wild Alaska Chaga harvests chaga from the Interior Alaskan boreal forests near Fairbanks. These subarctic forests are home to a diverse assortment of plants and animals. Around Fairbanks the forest consists of birch, white and black spruce, alder, willow, and cottonwood trees. These trees grow following wildfires with willow and alder filling in recently burned areas, succeeded by cottonwood, birch, and finally large white spruce. In swampy terrain or areas with permafrost (a permanent layer of ice which persists underground year round) the forest is predominantly made up of stubby black spruce surrounded by moss and lichen. As we harvest chaga we navigate through all these different forest microbiomes. Smaller plants that grow in the area include wild rosebushes, high-bush cranberries, equisetum ferns, tall grasses and fireweed. Larger features include glacial fed rivers, mountain ranges to the north and south, the Aurora, and many hills leading to countless valleys that must be traversed. 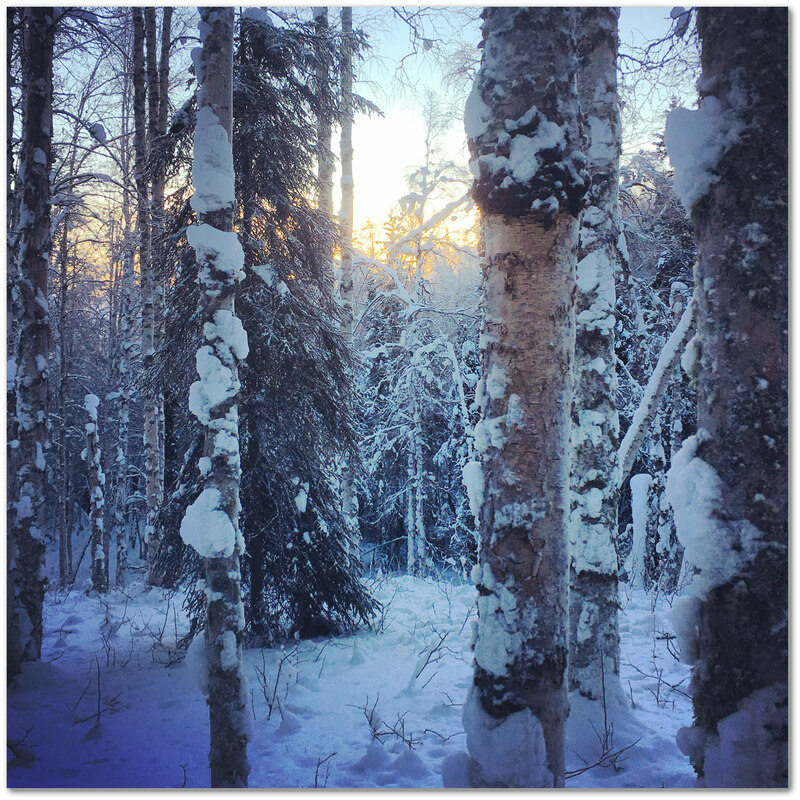 This entry was posted in Blog and tagged Alaska, Birch Trees, Business, Chaga, Chaga Tea, Forest, Geography, Weather, Wildlife on July 4, 2016 by akchaga.